Circa 1882. Built in 1882 during the height of Minnesota's logging boom, this grand Victorian mansion was once the home of a wealthy lumber baron. Now, Rivertown Inn is the oldest bed and breakfast in the state of Minnesota. Lovingly restored by its current owners, the Inn offers seven individual suites and two bedchambers, each with sumptuous d�cor inspired by a poet or literary figure of the 19th century. 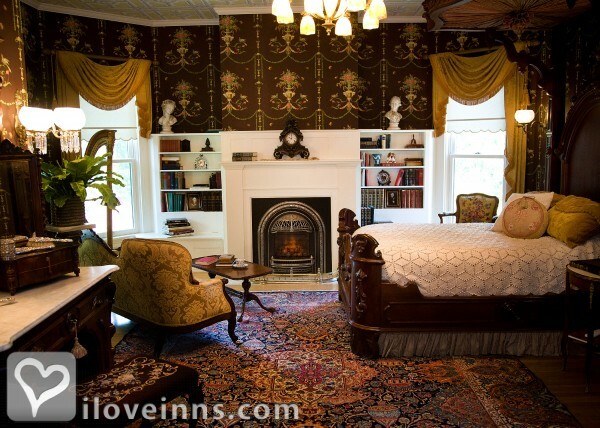 Guest rooms feature rare antiques, live-flame gas fireplaces and private spa-quality baths. Immerse yourself in European-style elegance and the ultimate in luxury, privacy and romance. You might choose to enhance your stay with a variety of unique packages designed to add to your special memories. For instance, pamper your loved one with a Romance Package, capture your connection with a Portrait Package or have a seasonal outdoor adventure with our Kayaking, Bike Tour and Winter Snowshoe Packages. Twice-monthly cooking classes are held in the gourmet kitchen. Surrounded by beautifully manicured gardens, trickling fountains and secluded courtyards with intimate seating, Rivertown Inn provides a tranquil setting in which to relax and rejuvenate. Conveniently located four blocks from historic Main Street in downtown Stillwater, Rivertown Inn is also minutes away from the unique shops, galleries and fine dining the city has to offer. Payment Types Accepted Include Visa, Master Card, Discover, Personal Checks and American Express. This property has 9 total guest accommodations with private bath, 9 with fireplaces, 9 with whirlpools, 7 suites. The types of beds available include Double, King and Queen. From the moment guests step inside this restored Victorian mansion, they are surrounded by European-style elegance and outstanding levels of personal service. 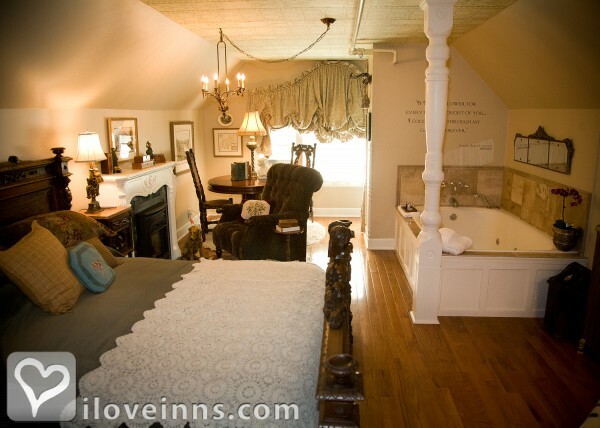 All guest quarters feature a private bath with a double whirlpool tub, gas fireplace, and sumptuous decor that pays homage to a great romantic poet or literary figure of the 19th century. The ultimate in luxury, privacy and romance. 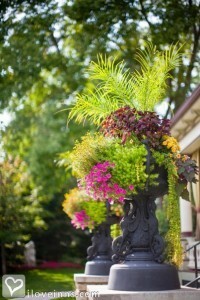 Rivertown Inn features some of Stillwater's most beautiful garden spaces. We invite you to stroll among the flowering gardens and take pleasure in the statuary, ponds, and trickling fountains. 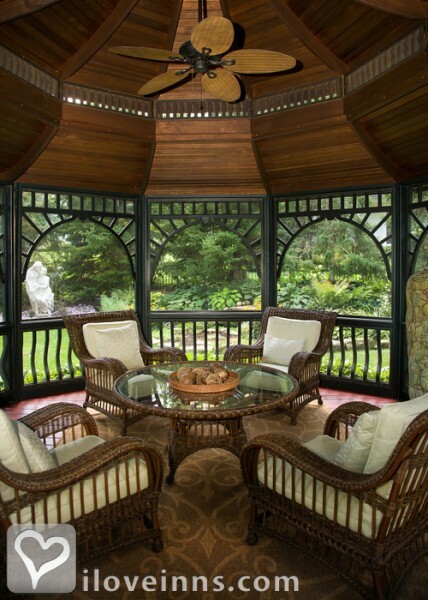 Sip wine or tea in the screened gazebo. Enjoy the sunshine on our wrap-around Victorian porch. Opulent private suite with a berth-style King-size bed, an elegant seating area with fireplace, Tiffany-style lamps, and a private outdoor garden terrace. Special spa amenities including a tiled steam room with a Kohler water tower massaging shower and separate whirlpool room with a deep over-size tub. 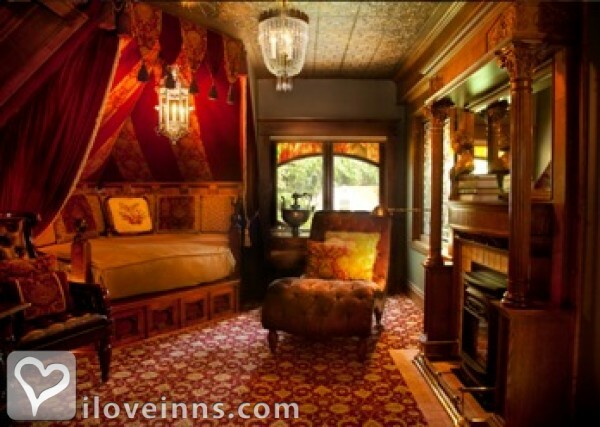 Handsome sleeping chamber featuring a pentagonal bed draped in rich fabrics, tufted leather furniture, stained glass windows, and a cozy sitting area in front of an ornate Victorian fireplace. Antique French doors lead into an enormous bath elegantly tiled in Italian Travertine marble, with antique crystal chandeliers, a private water closet, a cushioned window seat, and a large walk-in steam room with an overhead Rainfall shower and built in benches. Marble columns flank a deep, step-up whirlpool tub, separate fireplace. English cottage-style bedchamber featuring a built-in king size bed draped in sophisticated moss-green and blush fabrics, delicate crystal chandelier, cushioned window nook, and cozy fireplace. Private bath with a large double whirlpool tub, underwater light and waterfall faucet. This second floor suite features the Inn's only private entrance off of a small balcony sitting area overlooking the East gardens.The centerpiece of this regal suite is an exquisite four-poster Bristol Colonial canopy bed draped in splendid fabrics. A step up into the bath reveals a double whirlpool tub. This inviting suite of natural elegance and harmony features hues of spicy plum and mossy green. A partial canopy over the bed, bullion-trimmed draperies, an intimate fireplace set in a grand Victorian-era mantel and a hidden bath with a double whirlpool tub set the mood for romance. This fabric-draped bedchamber features feminine tones of twilight blue silk, misty taupe and copper-brown. The cozy bath features an intimate whirlpool soaking tub, while the Renaissance Revival canopy bed heightens the suite's dreamy romance. Tucked under the eaves on the third floor of the inn, this charming bedchamber provides an enchanting get-away with a king-sized bed, and a surprise in every nook and corner. A corner fireplace and a Whirlpool tub with underwater lights and waterfall faucet complete the magical setting. Cancellation policy requires a seven-day notice. If guest cancels less than seven days prior to arrival they are responsible for the reservation. Built in 1882 during the height of Minnesota's logging boom, Rivertown Inn is a lovingly restored Lumber Baron Mansion turned boutique-style bed and breakfast. Rivertown Inn is in Stillwater, the Birthplace of Minnesota, located along the St. Croix River - a nationally designated scenic riverway. 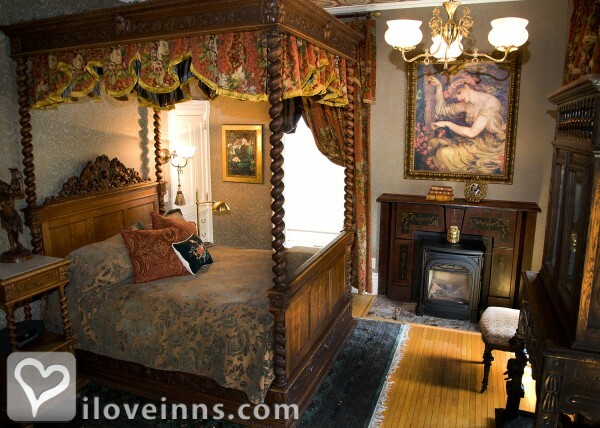 Voted a "Top Ten Most Romantic Inn" 2007 by iLoveInns.com. Pea soup is very popular in England and is often served with smoked ham. This pea soup is bright, light and summery. Mint and peas are also a classic combination so by making the minted chicken quenelles you will get the mint flavor in to the soup. Potato salad is a common food for summertime picnics but there are ways to enjoy it even in the winter. Chef Ray Wyatt with Rivertown Inn, has a warm winter version of the summertime favorite. This is a very simple and tasty lamb stew. Perfect for the cold winters and a delight served with crusty bread. With the addition of fresh orange and vinegar we add a classic Italian combination and a unique flavor profile. Chef Ray was recently challenged to create a hot dish using shrimp by Channel 5′s Twin Cities Live. He competed with other chefs in the twin cities area to create the best new hot dish. Chef Ray loves to share the foods and flavors of his childhood in England with our guests. The Pasty is a pastry filled turn-over which looks very similar to a Calzone. It is believed that it originated as a lunch for the miners in Cornwall, England. This is a simple and classic dessert from Italy. If you have the ingredients at hand this is a quick dessert to whip up. 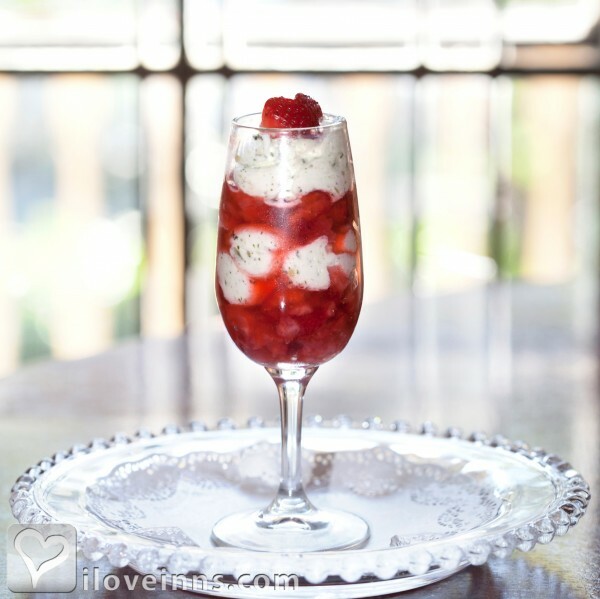 A great summer dessert, which is complimented by a nice glass of amaretto. This fantastic recipe makes a perfectly sweet dessert and is incredibly simple to make. It has just the right amount of coconut, honey, and maple syrup to make it fun and interesting without being too different. Beef Rendang is a spicy beef dry curry with coconut. For those of you who are unable to attend the wine dinner, this recipe is a way for you to bring a little bit of Southeast Asia home with you. Enjoy! This is the perfect salad recipe if you\'re tired of making the same old salad. Yam or Yum (salads) are an important part of the Thai diet and usually accompany every meal, this salad has typical flavors of Thailand giving it a bright and unique flavor. Indian food is well known here in the U.S. but you might not know it\'s the most popular type of food in England. Ray Wyatt, Rivertown Inn Chef, cooks up a curry recipe that is one of England\'s most popular. A terrine is a long rectangular form used to make P�t�, so basically it is just the name of the form or shape of the finished product. If you do not have a terrine form, you can use a bread or loaf pan. The fig is one of the first foods that humans figured out they could grow on their own. Chef Ray Wyatt is taking the fruit from the ficus tree and turning it into a tasty treat you can eat year round. Summer grilling is more than just hot dogs and hamburgers. Chef Ray Wyatt has the perfect pork grilling recipe for you. Chermoula is a Moroccan paste and even though the list of ingredients may seem long, it is very easy to make. The paste is primarily used for fish and although this is the most classic use, it is also great to spread on lamb racks and pork. A light and delicious pineapple dessert. Perfect for summer! You will be surprised at the amount of moisture and mouth watering flavor that this cake contains. The actual making of the cake is a little unusual as you actually use whole citrus fruits (skin and all!). This is a great summer salad and the perfect side for grilled fish and meats. The flavor profiles are that of Thailand with the combination of sweet and spicy. These muffins are a fantastic, healthy way to start your day. You can also make a wonderful gluten free substitue for those with dietary restrictions. A delicious scone, a perfect additional to breakfast or afternoon tea. Very Unique Experience!! Fabulous Stay!! Loved It!! My boyfriend & I stayed at the Rivertown Inn over Memorial Day Weekend and could not have been more impressed. My previous experiences with Bed & Breakfast have always been a little odd and over-sold. But this mansion had so much character, charm, private space and was operated at the next level in regards to hospitality and customer service. The location is also perfect. Although it sits on the hill feeling very secluded, we were also within walking distance to the main strip of Stillwater both days, and felt very comfortable walking to and fro, coming and going as we pleased! Highly Recommend! For my 34th birthday my wife surprised me with a two night stay at the Rivertown Inn. I was introduced to the Inn at a young age when my father made the exterior ironwork. I found it so beautiful in the photos of his work. Our experience did not disappoint. We arrived on Friday evening later than anticipated due to heavy traffic from the cities. Despite our late arrival we were met warmly by our in-keeper Sheila Marie who had left the happy hour wine out for our enjoyment, and offered absolutely anything we could have possibly needed prior to her departure for the evening. She also took us on a rather extensive tour of the main house, carriage house, and grounds. To say that the beauty is in the details would be an understatement at minimum. We settled into our room � The Longfellow Suite. The king-sized bed is the focal point in it�s dark wood period appropriate floor to ceiling frame. The mattress and pillows were unbelievably comfortable. I have back and neck problems and this is the first stay away from home where I have not needed my own pillows. The bathroom is sufficient for functionality and boasts a jetted tub that is large enough for two adults to share comfortably. Such a stunningly handsome room. 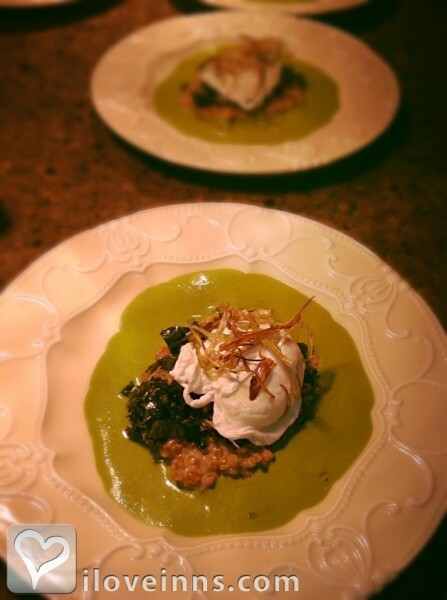 A three-course breakfast was served promptly at 9:30am by the Inn�s on site chefs and was delicious. We enjoyed a nice variety of locally sourced foods prepared very well. Each course was properly portioned so the meal left you feeling full, but not overly stuffed. The Inn staff helped my wife book reservations at a fine dining restaurant � Domacin Wine Bar � at the time of her room reservation for the night of my birthday. They made all the arrangements for a three-course dinner with wine pairings, and all we had to do was arrive for our reservation and present our document provided by the Inn. Every aspect of our stay at the Rivertown Inn could not have been better. The inn keepers go out of their way to ensure their guests have the best, most relaxing experience possible. We certainly will be going back. We have stayed at The Rivertown Inn twice. It was a wonderful experience each time. Stillwater is pure Norman Rockwell...kids going down a steep hill on sleds, church bells ringing up the street. The staff is very friendly and accommodating. The breakfast is awesome. "FIRST CLASS" comes to mind when describing our stay at The Rivertown Inn. We are looking forward to staying again. I dont even know where to begin! It is my favorite spot ever! When you think of relaxing,cozy, clean, romantic,friendly,you will automatically think of here, the Rivertown Inn. We were referred to this place from a client of mine, and we have stayed 3 times now. We talk about it all the time to people. We celebrated 2010 Valentines Weekend here, and our 3rd yr. anniversary, and as a gift, I got Mark and I a weekend away after graduating "Cop School". If you decide to stay, you can call and talk to anyone about it, but I want to please make sure you meet Mary the "Head Housekeeper". You will love her! She is so sweet and she gets just as excited about you coming as you are to go there! She makes you feel like you have always known her. We had only stayed once and she remembered us, so she came to our breakfast table and gave me a hug, and said "You're back! It's so good to see you again!" Amazing! Just Amazing!!!! Please go and enjoy yourself here! You won't ever have a better experience at another B&B. Jackie- Wyoming MN. Our stay at the Rivertown Inn (Stillwater, Minnesota) was a wonderful experience, with its wonderful staff I see us coming back for years to come. We had the most wonderful stay at the Rivertown Inn. The house is charming and the staff is extraordinary! Your wish is their command, no matter what it is. We will be back again and again! 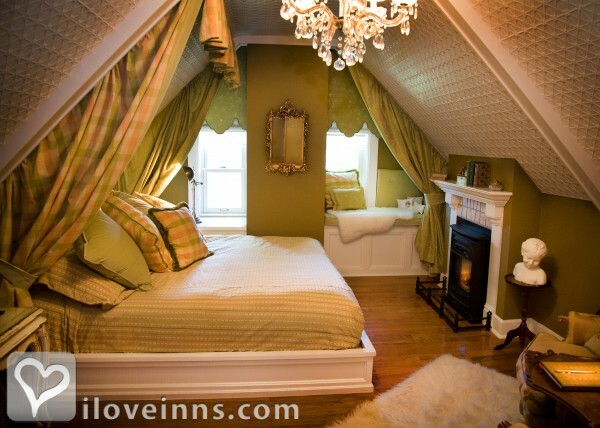 My husband and I love staying in the upper suite of the carriage house - the Oscar Wilde suite. The privacy is second to none, and the bathroom is meant to be shared and lingered in. 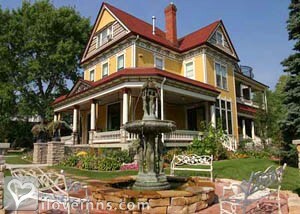 Delicious breakfast, beautiful gardens...all in all the best, most romantic Inn in Stillwater! The Rivertown Inn is an exceptional property on every level! You will not be disappointed with atmosphere, service, food or comfort. A perfect romantic retreat in any season. My husband and I have stayed at a few Bed and Breakfasts in the past and this one by far surpasses all of them. The Rivertown Inn is absolutely breathtaking. 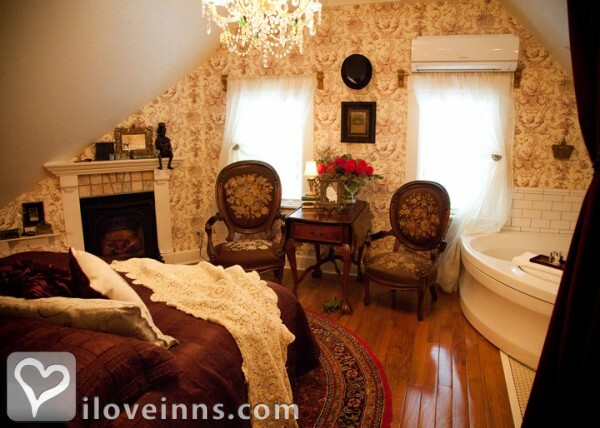 The inn, atmosphere, decor, and rooms are like no other B&B I have stayed in before. The hors d'oeuvres and wine were a great way to meet other guests and the 3 course breakfast by their personal chef was amazing. We stayed in the Lord Tennyson Suite and it was beautiful. It has a separate cozy sitting room and a huge jacuzzi tub. Very relaxing and romantic. We took a quick peek at all of the rooms before we left and they all are beautiful. The only thing I would change is next time I will schedule a massage and stay more then 1 night! We visited in November and I can just imagine how beautiful the grounds are in the spring, summer and early fall. 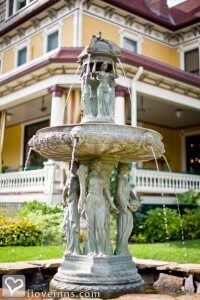 Beautiful water fountains, statues and sitting areas. We give the Rivertown an A+ and we will most certainly be back! The price may seem a little expensive but it was worth every penny. My Partner and I spent an evening at the Rivertown Inn. We stayed in the "Browning Room" and found it clean, beautiful and spacious. The grounds are beautiful-gazebo, outdoor patio with comfortable rocking chairs and an outdoor space with table and chairs to eat. We would love to go back in the summer to enjoy the outside. Breakfast was tasty and the chief came out and explained each course, fresh baked muffin (wonderful and just the right size), rice pudding with sour cherries (excellent flavor), apple tart (I could have eaten two of them!) and a chicken sausage egg bake (moist and wonderful flavor). They also offer massage services and next time we will use this service. The only bad experience we had was having dinner in a restaurant named "Savories"-over cooked expensive food, there is another restaurant down the street Moxie's which will try next time. Stillwater was beautiful and worth the trip-Highly Recommended. For our first B&B experience, this one will be hard to top! The setting is beautiful, the staff is very polite and accommodating, the gourmet food is delicious, and the rooms are charming and romantic. Everything was lush and cozy, warm and comfortable--a wonderful way to celebrate a relationship. Wish we could have stayed longer! our stay at Rivertown Inn was a pure delight - we brought our out of town friends with, boated on the St. Croix river, had dinner at Marx (just 2 blocks away), enjoyed a wonderful breakfast and then had to leave. 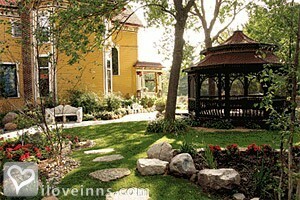 The Inn is beautifully restored with private common spaces everywhere both inside and out. We would have loved to linger in the gaxebo overlooking the meticulously manicured gardens and participated in the "happy hour" but foolishly booked too much in that day. We will definitely return and leave plenty of time for sitting around. The staff was so pleasant and accomodating that they made our short stay even more enjoyable - it was clear that they were there to please us! Best B&B I have ever stayed at! My husband and I stayed at the Rivertown Inn for our 10 year anniversary. I was very impressed by the wonderful job the owners did of restoring this property. The wine and cheese reception was fabulous. They have a self serve wine bar where you can purchase from a wide selection of wines. The breakfast was outstanding, they employ a chef which is a nice touch. The location is close to downtown Stillwater which has many fun restaurants, bars and boutiques. We've been coming back to Rivertown Inn for years. The elegance and beauty of this place is consistently wonderful. You cannot go wrong staying here for a special romantic get-away. Our first, and our favorite! This is the place to stay!!! This is a really wonderful Bed & Breakfast: the kind that will totally satisfy the expectations of the most discerning and experienced B&B'ers, AND charm the pants off of cynics like us. My husband and I were desperately in need of some R&R, but we're not much for doilies. Or relaxing. The innkeepers, spacious quarters, wonderful breakfasts, cheeseboards and wine... well... I don't know that we've EVER been more relaxed. Now, when we feel ourselves getting keyed up, we just imagine the Rivertown, and the blood pressure drops. We'll be back. We celebrated our first anniversary at the Rivertown Inn, and it was such a wonderful experience. We stayed in the Agatha Christie Carriage House Suite--it truly is the most amazing room I have ever slept in. The decor was beautiful, the food the next morning devine, truly an A+! We stayed in the Oscar Wilde suite. Beautiful,dark, rich colors. The bathroom was incredible. It had a skylight over the hot tub, a walk in steam room/shower/rainfall shower, and a fireplace. We would go back in a heartbeat. In fact, we are already discussing going back next April for our 11th anniversary. I needed a relaxing getaway from a stressful week. The Rivertown Inn provided the ultimate in luxury and hospitality bar none. The room was charming and had an awesome whirpool jet tub, with complimentary bath amenities that were heavenly. The canopy bed was super cozy and comfortable for a wonderful night's sleep. They had a yummy social hour from 5-6 pm with complimentary wine, cheeses, crackers, and meats. The breakfast the next morning was a 3 course gourmet feast to die for. The staff and owners were so welcoming and friendly and accomodating I felt like I was home. I almost hate to share this secret of this wonderful B & B with anyone else. The only regret I have is not being there with "someone special" because it is a super romantic place. I will definitely go back again! My husband and I have stayed at several B&B's, but the Rivertown Inn is the best by far. Beautiful rooms, beautiful place and amazing food. We loved the little walk out balcony off our room (Lord Byron Suite). We're hoping to book another stay sometime in the near future! We had the most amazing, relaxing, and romantic stay at the Rivertown Inn. The staff and service were great, and the food was wonderful. We can't wait to go back! What an incredible place! The service was great. Incredible furnishings and immaculate. Mary was outstanding and took personal care of us. Ray the chef was amazing! I would HIGHLY recommend the Rivertown Inn. We stay at Rivertown Inn every year for our anniversary. The service is always flawless. The breakfast is so romantic on their large porch with a beautiful view of their gardens and the sound of the fountain in the background. The rooms are all lovely and decorated to perfection. You feel as if you have stepped back in time with the beautiful decor. From the moment my wife and I arrived to celebrate our 25th anniversary we were treated with extra special care. The bedrooms, common areas, and grounds were all immaculate. The social hour with complimentary wine & cheese was terrific. And the three course gourmet breakfast was out of this world. We stayed in the Jane Austen and would do so again. The only caveat is that the Austen bedchamber (as opposed to the more spacious and more expensive suites named after other literary figures), though fabulously decorated, was just a bit cramped. Double whirlpool was wonderful, though. We'll be back! Plan to arrive a little on the early side and you might be treated to a tour of all of the rooms. The Agatha Christie and Oscar Wilde really have to be seen to be believed. If you are looking for a place that will refresh your spirit and make you feel like you are returning to the romantic place in your relationship, then this is the place. Rivertown Inn is exquisite, with details about every part of your stay. It begins with a wonderful reception of cheese, meats, crackers and wine that will delight you. Each room has a theme of an authour with beautiful arrangements to make you want to never leave. Then the morning breakfast....amazing! Each bite is a taste discovery. Chef Wyatt is wonderful. The inn is best when you stay for at least two nights...my personal opinion. A wonderful get-a-away for any couple who needs to escape the real world and relax. My husband and I just stayed at the Rivertown Inn for our Anniversary. I have to say that I have stayed at quite a few premium Inns and that The Rivertown Inn is the very best that I have experianced! The rooms are beautifully decorated with very high quality antiques and gorgeous fabrics. The breakfast was the best meal I have ever had at a B&B. The grounds are simply lovely, and very relaxing to just sit and experiance all of the sights such as flowers and statues. We have already made reservations for our anniversary net year! spectacular Rivertown Inn I can't say enough about this unbelievable bed and breakfast. They exceed expectations on every level. My husband and I aren't easy to impress, but they managed to impress both of us! You've got to stay here. I just bought gift certificates to give as gifts. I know that my friends and family will love it as much as we did(staff, gazebo, gardens, food, comfy beds, posh decorations, wine and cheese hour, breakfast on porch in the sun, and the list goes on). Trina S.
Rivertown Inn As I had never stayed at a B&B or an Inn the first time I came to stay here I was unsure of what to expect...now that might mean to some I might not know what I am speaking of but I know fantastic service, delectable food, opulent splendor,and a great time when I experience it. I have now been here 3 times and each time has been as amazing as the first. The inn is done in the greatest of detail right down to the period-authentic wall and ceiling treatments. The staff consists of some of the best I have encountered including a fantastic innkeeper and 5 star chef who creates the most exquisite of dishes served in the beautiful dining room or on the veranda. You must, absolutely must stay here just once. I promise if you do you will visit again and again. I have tried to branch out to other B&Bs but nothing else compares. Don't miss Luna Rosa's Trattoria for a romantic dinner (unless your enjoying a wine dinner by Chef Ray) Leo's for ice cream, shakes, and waffle fries, the park for a moonlit river walk, and the trolley for history...if you visit the Freighthouse do it for the outside, riverside dining and not the service or the food. We loved our stay at the Rivertown Inn. The accommodations were fabulous and each room has its own special theme decor.The staff was both friendly and helpful. We really enjoyed the evening social hour. It was a great chance to meet other guests and it was complimentary. The breakfast was terrific. We look forward to staying here again. The literary themed rooms were fantastic. We stayed in the Agatha Christie room in the carriage house. 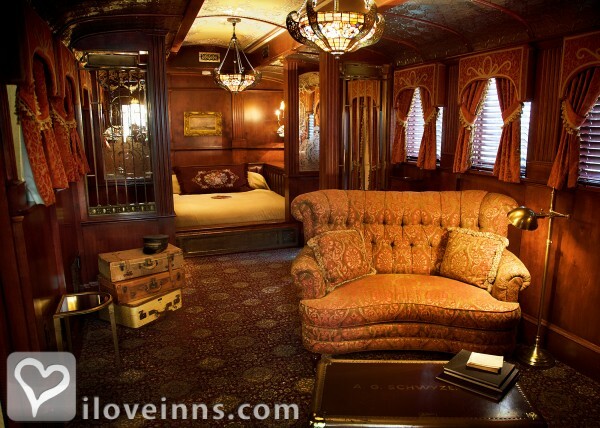 Very romantic, set up like you were on your personal rail car on the Orient Express. The service was phenomenal, very attentive but unobtrusive. The food was great, especially the three course breakfast all with locally sourced foods. The amenities were luxurious, the steam shower and the whirlpool bath were perfect. It was a perfect romantic weekend. I stayed from april 27-29, 2011- single gal. Two nights in the christina bedchamber (bed was a little too soft for me) and one night in the Jane Austin suite (toilet in bad spot if you are really tall). Other than that = BOTH ROOMS WERE AMAZING. The breakfast was wondering and healthy- very tasty. The staff were wonderful- they make you feel like its your house, very friendly. They make you feel like you have free rein through out and only 4 blocks away from main street. planning on returning in june for my 30th birthday and in july for my mother's 50th birthday. VERY nice retreat for the weekend! We found the Rivertown Inn on the internet as we were planning our 38th Anniversary celebration. What a romantic get away, with class, pizzaz, comfort, great staff, fabulous food, impressive surroundings and the greatest attention to details. Absolutely AWESOME!! Picture perfect, with amenities and service to match. Would recommend to all friends and relatives. The town of Stillwater is the midwest at its finest. Stayed here for two days and it was incredible! The decor was amazing and the staff was also fantastic. Each room is very intricately detailed and I will definitely be back to stay in different room! Highly recommended! You have to stay here! So Romantic! What a beautiful inn. Each room is an amazing palate of rich colors and comfy furniture. The food was incredible and introduced to the table by the chef himself. All of the food is freshly made with ingredients just gathered from the chef's garden that morning. The staff are very accomodating and genuine. I cannot wait to come back. We enjoyed being pampered while staying at the Rivertown Inn. Though we were left with relaxing, quiet privacy, we were pampered also with thoughtful extras: cheese/crackers/fruit tray in the evening, and amazing bed and bathtub. The breakfast and hospitality was above and beyond! This is the best B&B we've every stayed in. My hubby and I have wanted to stay here for many months every since we walked pasted it. The inside matched the beautiful outside and we were very pleased. Great staff, wonderful rooms, yummy creative food, we'll be back for sure. The Rivertown Inn was everything I hoped for and more! The historical themed rooms are spectacular and the upscale food is devine. There is so much to look at and so much to take in. I enjoyed every square foot inside and out. A little pricey, but the experience is worth every cent. It is a great lacation just a few blocks from beautiful downtown Stillwater, which has so much history in itself. I actually live less than an hour away and the few times I've been there, I felt like I was on a faraway vacation every single time. Best B & B in Stillwater, MN. My wife and I celebrated my birthday by staying at the Rivertown Inn last night. What a wonderful B & B (read: treasure). Two things we both noticed right away: First the Rivertown Inn is impeccably clean. And second, it's very obvious that a lot of time and effort has been invested in the decorating of this gorgeous B & B. Upon arrival, Innkeeper Marty gave us the grand tour...making us feel as if the Inn was ours for the night. Very nice touch! Last, but by far not the least, this morning Chef Ray treated 6 couples to the most fantastic "several" course breakfast. We really enjoyed how he'd explain each course in detail as the dishes were brought to our tables. Each course was a unanimous "loved it" by everyone. (Chef Ray even came out with a lit candle and then sang Happy Birthday to me with his deep, beautiful voice.) Thanks to everyone at the Rivertown Inn for a wonderful birthday celebration. A great and memorable birthday at a 5 star B &B. Dale & Julia Peterson. We stayed recently at the Rivertown Inn in their "Oscar Wilde" suite, and found it to be a truly sensory experience. The bathroom was magnificent; the tub was large enough for two adults to be comfortable in, the shower had a waterfall and handheld faucet, and was a steam bath as well. There was a wall gas fireplace to ward off any chill that felt delightful during a bath. The room was very well appointed and extremely neat and clean. The staff was terrific, helpful in every way, and the breakfast was phenomenal. The chef came out with each course and explained to those of us at that seating what we were eating and how it had been prepared. Several of the guests dining with us had stayed there previously. The downtown area is close to the Inn and is a charming antique and specialty shop area. We would definitely recommend this inn and look forward to returning. We stayed for the second time at the Rivertown Inn for our 25th wedding anniversary. My husband had rented the Oscar Wilde Suite.....it was amazing. Everything from the chef prepared breakfast to the beautiful grounds was prepared with loving care to perfection. We would definately recommend this bed and breakfast............beautiful, awesome!!! My wife and have stayed here twice. This place is amazing! The attention to detail in the rooms is unbelievable. The staff, gardens, food, and experience is well worth the price! We discovered the Rivertown Inn 6 years ago. It was such a beautiful place and a special time for my husband and I, that we have made this our anniversary tradition. We come back the same weekend every year! If you are looking for a sanctuary to find peace and stillness from the craziness of life this is it. The owners go our of their way to make everything as special as it can be and the staff do all that they can to make sure your experience is wonderful! It is located only 6 blocks from the river and main street, so you have access to all kinds of things if that is what you want and yet far enough away to feel you are in another world. I look forward to this time away throughout the whole year. 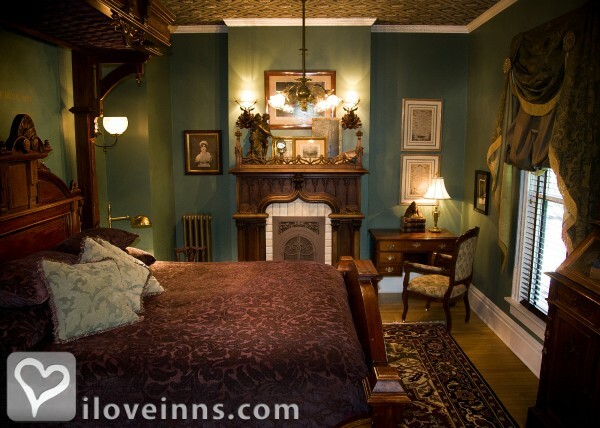 What better way to walk into Victorian luxury than to stay a night at the Rivertown Inn. Your evening begins with historic tour followed by being taken to a room that is true to the famous writer of the times' crescendo. Following was a blissful social hour with hors d�oeuvres and wine. After a night of sound sleep you�re awakened to coffee and a steam shower. As one makes their way down to the main level a multi gourmet breakfast is served with utmost attention to detail with added love to make your stay that much more sweeter! Much worth the price and forever a romantic memory to cherish! This is one of the best B&B's we have ever stayed at. The staff was wonderful. The breakfast was great and Chef Ray made it even more enjoyable with his presentations before each course. This is a truly amazing place. Thank You for making our stay so enjoyable. The best Bed and breakfast I have ever been to. My Boyfriend rented a room for us for my birthday. Stillwater is a great town and Rivertown Inn is a great place to stay. Seven of our family stayed at the Inn on 6/24 to celebrate our 50th anniversary. The accomodations were perfect, as was the weather. The staff were very accomodating, and the breakfast was probably the best we have ever had -- anywhere! The chef even made a special menu for the people that had food allergies. We have stayed at quite a number of B & B's and this is by far the best. We definitely would stay here again. My boyfriend surprised me with a night at this Inn. We got there right before social hour and enjoyed some delicious complimentary wine. The grounds were beautiful, with many places to sit and enjoy the company of just whom you're with or of other guests. They have a lovely fountain and a gazebo so the bugs can't get you. The place would have been amazing just for this, but they went above and beyond to help my boyfriend decorate the gazebo with rose pedals, candles and champagne. He proposed at this Inn and it was the most amazing weekend of my life. The trip ended with the best breakfast I have ever had from the chef at the Inn. It was a 6 course breakfast - he even changed one item for me because of an allergy. The Inn is clean, beautiful and has something new to look at with every turn. It would be impossible to regret your choice to book at the Rivertown Inn! My husband and I have not stayed at a B&B before. We were not sure what to expect but leaving Rivertown Inn, we are pretty sure we will become frequent visitors to B&Bs in the future and they have set the bar pretty high! From the moment you enter to the moment you leave, you are treated like royalty. The house's exterior and interior are immacuately cared for, designed professionally and no attention to detail has been left out. We stayed in the Jane Austen suite and what a true delight. All these little touches in the room ensured we knew who Jane Austen was and helped us learn more about her. The FOOD was EXCELLENT. Their chef has such a great sense of humor and met my gluten free needs. It was just the best -all natural, organic and he described everything with such fervor and delight. We will return for sure. Thank you Rivertown Inn for a wonderful experience!! this inn is excellent, the breakfasts are amazing. it is a good location. we have stayed in 2 of the rooms and love them both. the agatha Christie is our favorite! have spent 3 anniversaries theee and can't wait to come back! My husband and I love it so much, we go back every year for our anniversary. The BEST rooms in MInnesota!! I would never hesitate to recommend this Inn to anyone (who will listen)! It is loved and cared for and it shows! I've stayed at B&B's across the nation and this one is hands down the best. Period. Everything about this Inn was A+, from the room to the staff to evening wine and snacks to the delicious breakfasts each morning. You won't be disappointed! This is the most beautiful amazing boutique hotel we have ever stayed. Food was amazing, service impeccable! "Best Luxury B&B" Minneapolis Star Tribune 2014, Minnesota Meetings & Events Summer 2014, Pioneer Press, Minnesota Monthly, Voted one of the "Top 10 Most Romantic Inn's" by iLoveInns.com (2007), Voted "Best Antiques" 2011 by LanierBB.com.